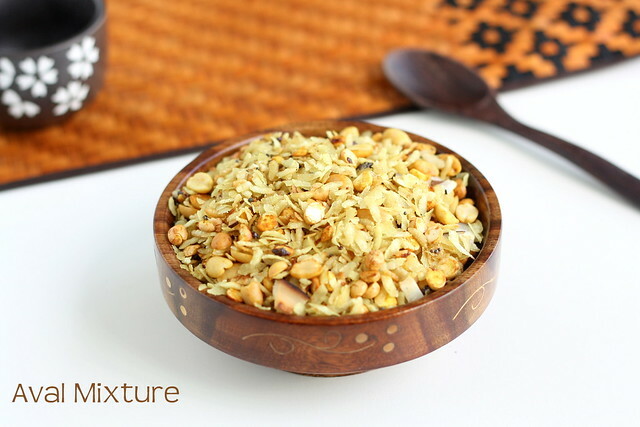 Poha Chivda is a low fat snack made with aval | poha , a less oil and not a deep fried mixture. 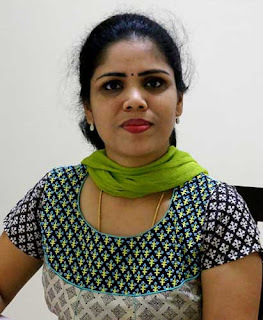 Though i already posted South Indian Mixture recipe, i have a few request from readers for a healthy diwali recipe which they can make for their parents | in laws, this poha chivda immediately came to my mind. 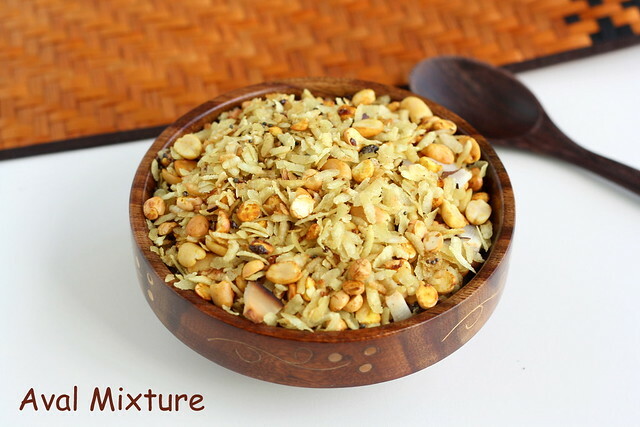 So if you want to try something healthy this time, make this poha mixture | aval mixture. 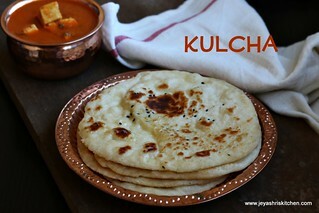 I learnt this recipe from my friend Janani, long back when we met for a evening tea . In a pan, roast the poha , with 1 tsp of oil ( use medium thin poha) till it turns golden brown. Be careful not to make it burnt. Keep it aside. In the same pan add oil and add mustard seeds and slit the green chillies and add to it. Powder the sugar in a mortar and pestle. Add the roasted gram, peanuts and powdered sugar and salt to this. When the peanuts,and dal turns golden brown switch off the flame and mix it to the roasted poha. Store this in a airtight container . Enjoy with hot tea | coffee. 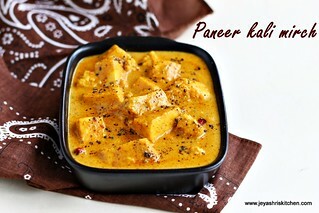 You can add a few tablespoons of roasted cashew nuts also. 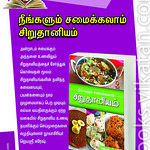 Few curry leaves can be added while adding the mustard seeds. 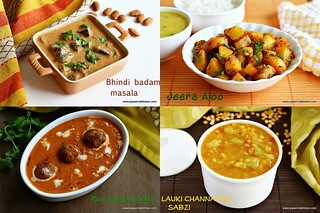 aval mixture looks yumm Jeyashri..love the beautiful clicks. 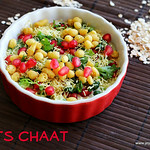 ur blog is overflowing with wonderful mouthwatering diwali recipes. keep rocking. 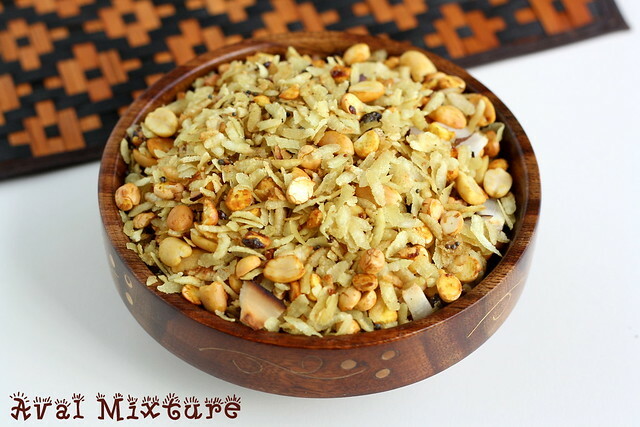 aval mixture looks so tempting and delicious!!! 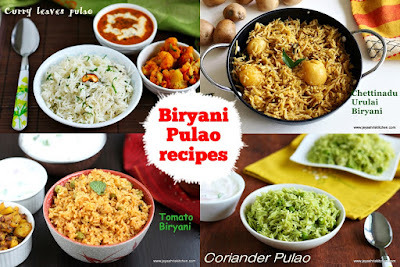 wow so many festive recipes just in time for Deepavali!! looks wonderful and I also just made mine. simple and crispy.. like it always.. I love any type of mixture and this looks yum....perfect for teatime! Super yummy looking mixture. Looks too good !! Nice one Jeyashree, oil consuming too. aval mixture looks so tempting! Awesome with some tea...love this..
Thats a super quick and guilt free snack. 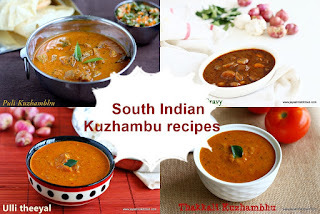 I would love to make this i have everything ehre but no pottu kadal and i have been looking in the indian store but they don't want it here. 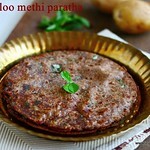 will try this tomm.. all ingredients in place..
Oh is it! Do not where u must have gone wrong. May be that part must have been thick .